It’s not every day a God risks his Godly powers and life to travel to Earth so he can express his undying love for you. What’s in a dream? Maybe nothing or everything. There’s certainly more to it when the same dream keeps recurring and can’t be ignored. 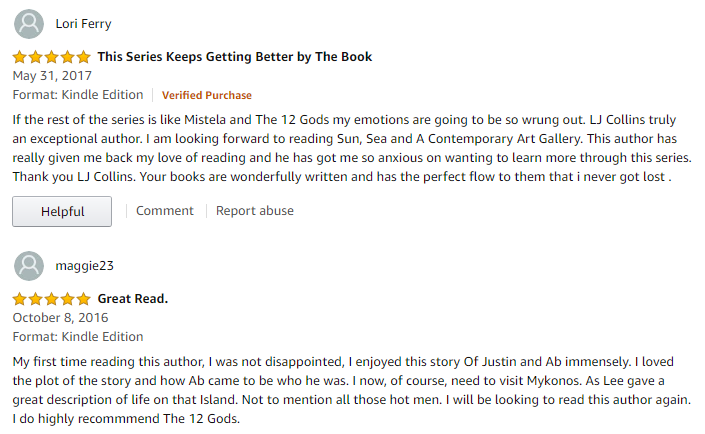 Justin’s best friend Lucas suspects it has something to do with their upcoming holiday to Mykonos. He predicts something strangely wonderful is going to happen to Justin while they are there. But nothing could prepare Justin for what was in store for him. When The 12 Gods fear that humans have learned to think for themselves, diminishing their Godly powers, four Gods are sent to Earth to find out what is really going on. Hesodo is particularly keen to go, but to accomplish a completely different mission—to find Justin and win him back. When Justin has a tragic accident, there is only one option, which results in Justin finding out more than he bargained for about his past love and history, teaching him that dreams should never be ignored.